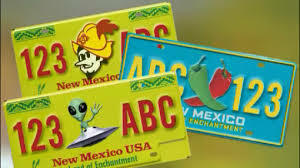 A New Mexico legislative panel is supporting a measure to create special license plates illustrated with the state’s signature hot chile peppers. The House Transportation and Public Works Committee recently voted favorably on the legislation sponsored by Republican Rep. Cathrynn Brown of Carlsbad. According to the bill, it would cost vehicle owners $35 annually for the plate. Some of the plate revenue would go toward manufacturing costs while most would be used for educational programs at the state Farm and Ranch Heritage Museum in Las Cruces. I have been on the board of that museum for more than sixteen years, so of course I support the chile license plate bill. I’d also like to have one of those plates on my Camry Hybrid.